VESA Compatibility: 75x75,100x100mm - for 13-27” TVs. 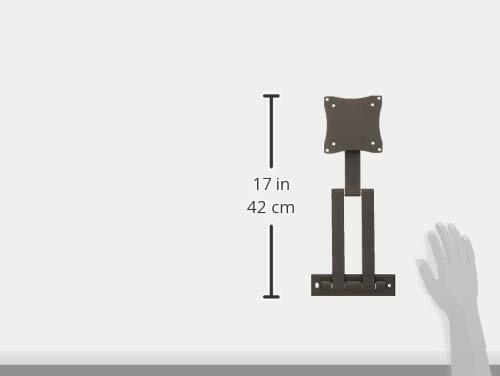 Ultra Slim 50mm from the Wall extending to 367mm, with a Strong 15kg Load Capacity - Tilt -70°/+70° and Swivel: -90°/+90° for the best viewing angle. 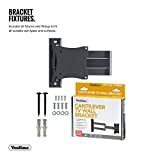 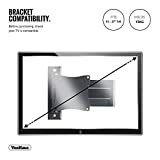 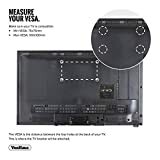 Please confirm your TV’s VESA Mounting Dimensions and Screen Size before purchasing. 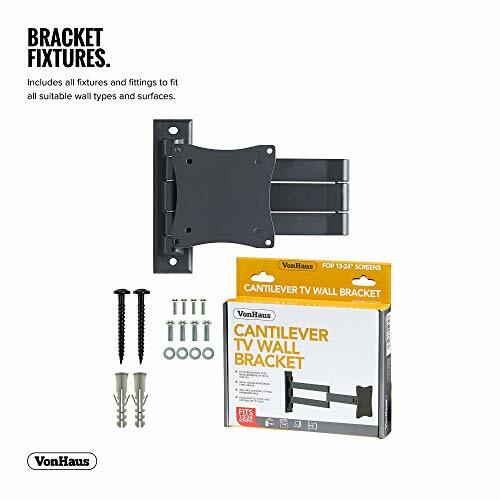 Quick and Easy Installation – Includes all Fittings and Instructions. 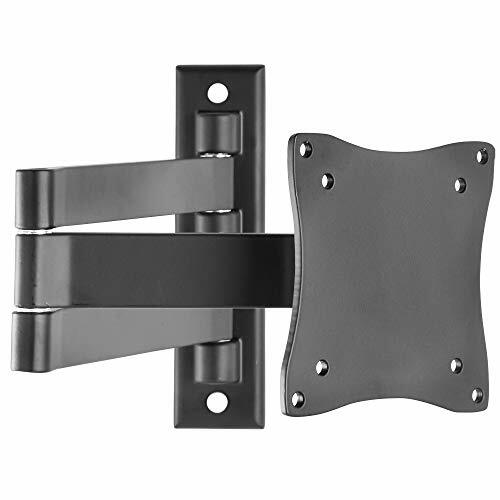 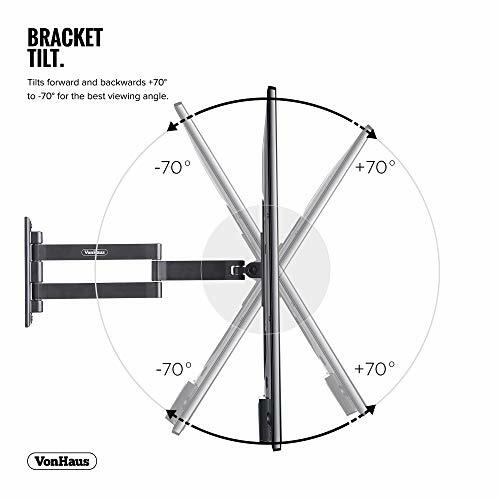 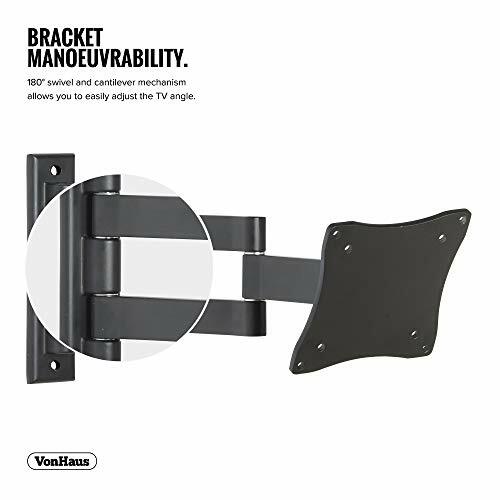 Each VonHaus TV Bracket is manufactured from the sturdiest material. 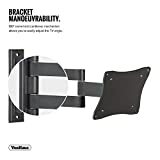 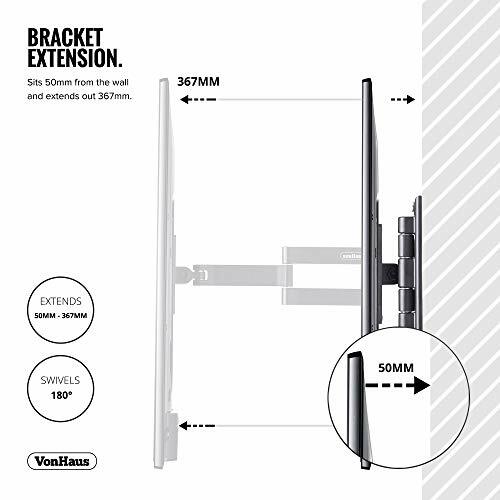 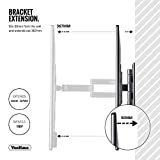 VESA Dimension is vital when considering a suitable bracket for your TV. 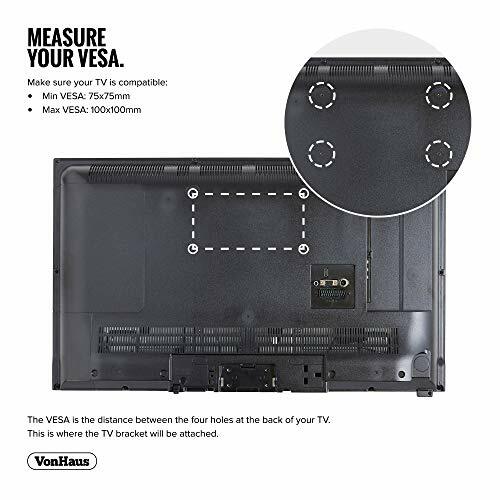 Ensure compatibility: MAX VESA (100x100) by checking your TV’s manual or measuring the distance between the 4 holes on the rear of the television.